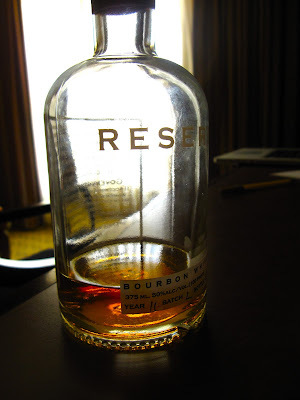 When I first started my blog, my friend Wilson told me I should do a post on how to taste bourbon. Lord knows I drink bourbon like it's my job. You'd think I'd be an expert, but in truth, I didn't know the first thing about the formalities of tasting it. But like the good student that I am, at least in the subjects that deeply interest me (sorry Mr. Arcand), I decided I needed to get an education on my favorite libation. Because my father is also a great student of bourbon, I suggested we spend his birthday on the Bourbon Trail in Kentucky. So I finagled a business trip to Louisville, met up with my parents, and spent the weekend gaining an advanced bourbon degree. All I can say is sign me up for the PhD program! Central Kentucky is an idyllic setting, with rolling green meadows studded with pristine white fences holding back stunning thoroughbreds, trickling limestone-filtered streams, and white oak forests. It also happens to provide the perfect conditions for producing the honey-colored drink I love so much. The Bourbon Trail is a route connecting Louisville, Bardstown, Lexington and Frankfort and offering up a number of different distilleries and a peek at some pockets of rich southern history. We began our journey in Louisville, with a chilly morning at the tracks (I could have used a nip at that point!) and then headed south with my mom at the wheel, our official designated driver since she does not share the same love of "America's official native spirit." If you've ever seen the movie Sideways, you know that Santa Barbara is located in one of the most beloved, and highly rated, wine regions in California. As such, I've spent a fair amount of time wine tasting. Let me just say the pours can be quite generous! You can get pretty schnockered after just a few wineries. If you're really interested, a few of the bigger labels may have a formal tour, but you usually just show up, they pull out a proper wine glass for you and start pouring. Usually you're tasting no less than 5 different wines per winery, but often you end up wanting to buy a bottle so you may go back and forth between a few — with some extra tastes to help make the decision. As a bourbon tasting virgin, I expected bourbon tasting to go kind of the same way (hence my mom as the designated driver). I couldn't have been more wrong. The official Bourbon Trail is comprised of 6 distilleries: Jim Beam, Heaven Hill, Makers Mark, Woodford, Four Roses, and Wild Turkey. We had 2 days to hit these, which seemed like a piece of cake. Little did we know. . . . Firstly you have to take a tour (I believe by law) of the distillery to actually get to taste any bourbon. Then the taste is miniscule. When they say it's a "tasting," they're not lying! You're getting like a 1/4 of an ounce of one bourbon if you're lucky! And some even serve them in plastic cups! This photo is the tasting before I actually tasted it. Each tour is approximately an hour so each stop on the tour is a time commitment. Then you have to drive a good ways to the next distillery. And I cannot stress this enough: you must have a GPS with you. And even then pray you see some nice locals along the way to confirm your route because you find yourself alone on these unmarked, deserted country roads and even having to cross streams in some instances! The GPS failed to acknowledge this but thankfully there were several pick-up trucks embedded in said stream with high school boys who were kind enough to pause from setting off firecrackers to confirm that we were indeed heading in the right direction. If you can knock out three distilleries in a day you're doing well. I must say the tours are incredibly interesting and all have their own spin as a result of their unique heritage. You get a real appreciation for the history behind bourbon, as well as the craft. It must be aged in new, charred American white oak barrels at no more than 125 proof, and bottled at no less than 80 proof. Some tours are better than others and some bourbons are better than others, but you learn something and appreciate something at each stop. 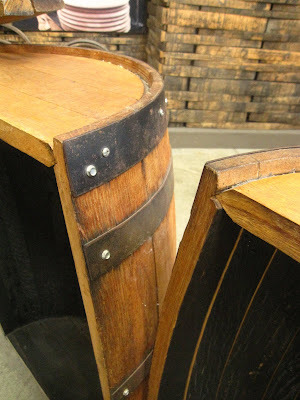 At some you get to see (and even taste) the sour mash barrels. . . .
You learn about the Angel's Share, which is the term used to describe the percent of the barrel that is lost to evaporation during the aging process. The belief is that guardian angels watch over the barrels as they age, and the evaporated portion is their payment. Smart angels. You learn about the process of producing the charred barrels which give off that wonderfully caramelized flavor and will be amazed by the stories of barrels sitting around aging. Imagine a stadium filled with bourbon barrels. . . . I'd grown up on stories about bootleggers who were always running from the law. I often wondered how the authorities tracked down these "entrepreneurs." 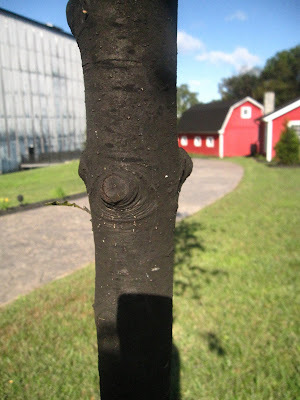 I was fascinated to learn that in humid climates the loss of ethanol (the Angel's Share) leads to the growth of a black fungus that covers everything in the vicinity. Walls, trees, you name it. There is no way to avoid it and therefore the distillers had to have a mobile operation as they knew at some point the black markings would give them away. Thankfully that changed after Prohibition ended, but it was amazing to see the indelible markings of bourbon production. 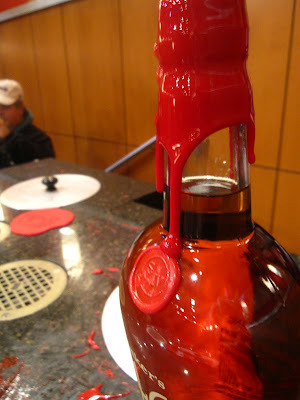 The highlight for me was getting to "wax" my own bottle of Maker's Mark. Maker's is my go-to bourbon, often considered the "elegant bourbon." I usually enjoy it "neat" or in a well-made Manhattan. As a marketer, I appreciate the branding details they've cultivated to create loyalty and instant recognition. Not only do they have a different mix of key ingredients that produce a slightly sweet bite followed by a soft finish (compliments of the heavier wheat profile), but they have a uniquely shaped bottle that is dipped in regal red wax. Cracking open a new bottle feels almost ceremonial. But dipping your own bottle in wax feels positively bucket-list worthy! You don the mitts, apron and goggles (after signing your bottle) . . .
. . . and dip away. In truth, I found it a tad stressful as I wanted to generate the perfect wax drip. Which is totally insane. I realized that now. Alas, I was very proud of my end result. Look it over — Pour yourself a drink and take some time to study the color. A darker color tends to mean longer storage time, higher proof or both. 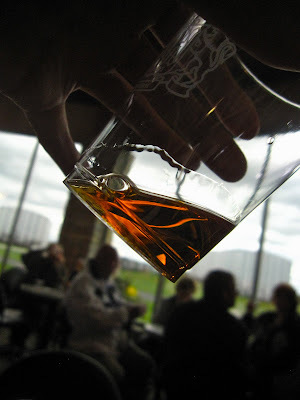 Give it a swirl — Get a firm grip on the glass and swirl the bourbon around, a move called aerating. This allows the drink to breathe a bit, which makes for a better tasting experience. Take a deep breath — Part your lips, place your nose deep into the glass, and give the liquid a sniff. By opening your mouth slightly while inhaling, you can avoid being overpowered by alcohol. The smell gives a preview to the taste. Have a drink — To get a complete flavor profile, take a large sip and work it around to coat the inside of your mouth. 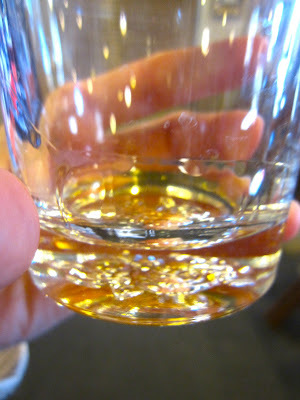 This allows the bourbon to hit different parts of the tongue, from the sweet-sensing tip to the sour-sensing sides. OK, now swallow — Pay careful attention to the flavors as it slides down your throat. You may taste coconut, butterscotch, marzipan, white chocolate, smoke, or even banana, to mention a few options. Test how long the flavors linger. 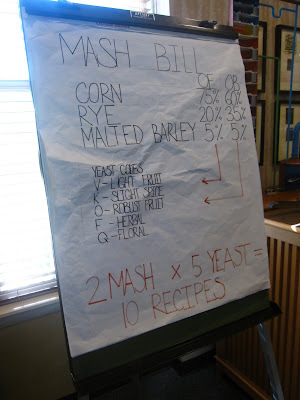 For quality bourbon, the taste should hang around 15-20 seconds. Water it down — Imagine the flavor of undiluted bourbon as a closed fist. Adding in a few drops of water will help customer the flavor, creating a more intense flavor than drinking it uncut. On the rocks — Try pouring the bourbon over ice. As you slowly sip it, the ice will begin to melt, allowing you to slowly experience a full spectrum of flavor. 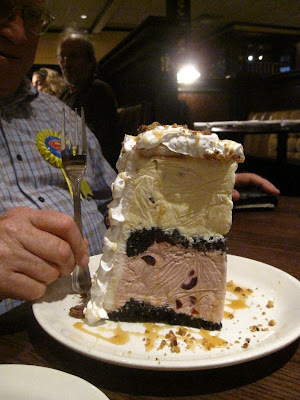 I did mention it was my dad's birthday, right? Well, it would be no proper birthday without birthday cake. Get a load of this tower of tastiness! I'm embarrassed to say, we polished it off in a blink. Holley! You may be surprised to find out that Mr. Arcand is still trying to teach chemistry to high schoolers! My son goes to good ole HRA and Mr. Arcand, Mr. Taylor, Mr. Jenkins, and Mr. Gillespie are still there! a tour de force. the detail and presentation is superb and betray the fact that you love the subject matter. and where can i get a piece of that cake? !